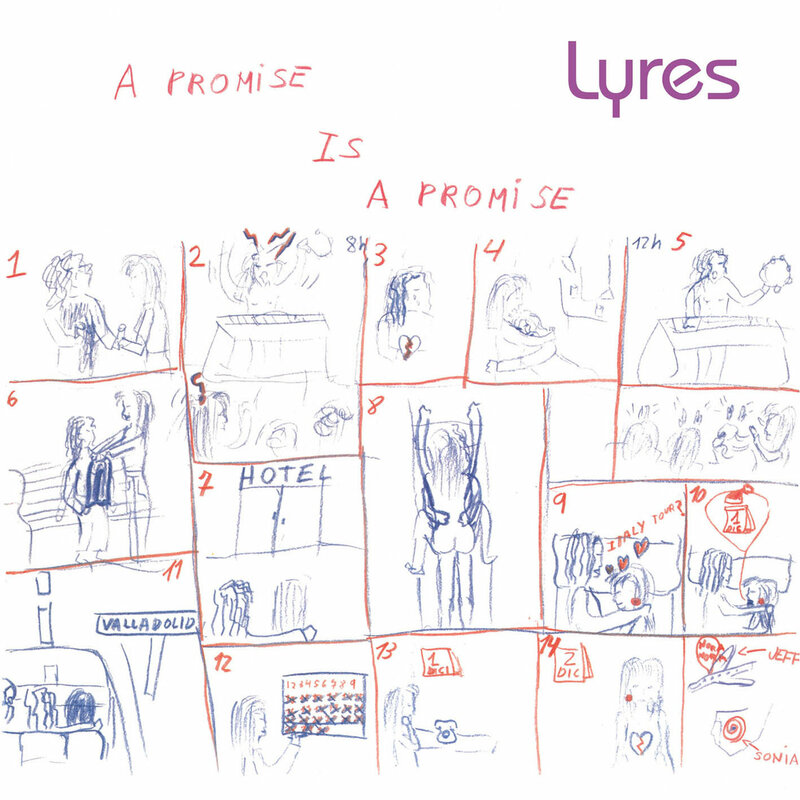 I've been listening to Lyres recently, and pulled out 1988's A Promise Is A Promise today. I was struck by a shaming memory but also a feeling of loss. Many have written about and lamented the diminution in scale of album artwork since the CD era, a shrinkage doubled down, as it were, in the MP3/streaming era. 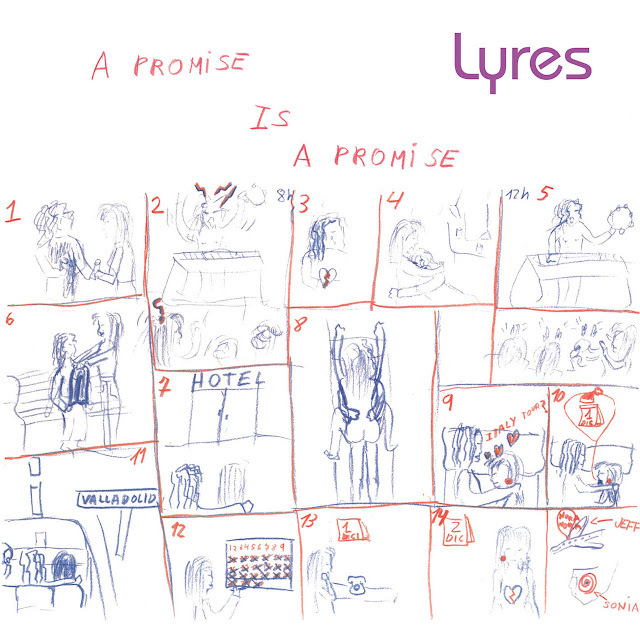 Jeff Connolly's dubious artwork—a mean-spirited fifteen-act storyboard of rock and roll touring excess and sexism—was featured in full narrative glory on the cover of A Promise Is A Promise, and I won't soon forget the look of disgust on my girlfriend's face as we sat together in the Washington DC Metro after I'd bought the album. My face hot, I probably defended the cover with defensive, twenty-something irony; now I roll my eyes at it in embarrassment. I wish I'd bought it on CD or squinted at the cover on my phone. A hell of a lot less implicating.